Cooper Brue held their second annual Beer Brewing Exhibition on Dec. 1. 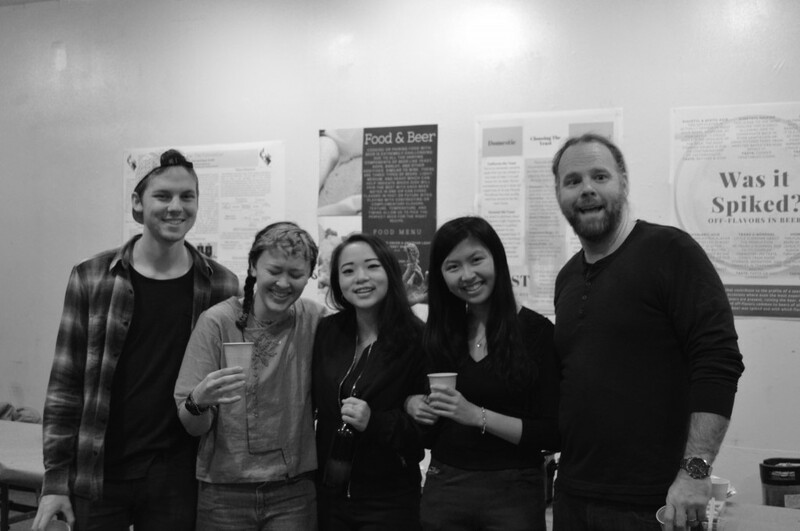 The brewing class, under the direction of Professor Sam Keene, showcased a variety of their beers, including a brown ale, an IPA, a porter, and a milk stout alongside beer-inspired snacks. The event was also educational; there were taste tests, informative posters, and of course the knowledgeable brewers! From left to right: Evan Dalke (CE ‘18), Ella de Buck (Art ‘18), Helen Ho (ChE ‘18), Brenda So (EE ‘18), Professor Keene. Photo by Matthew Grattan (ChE ‘19). 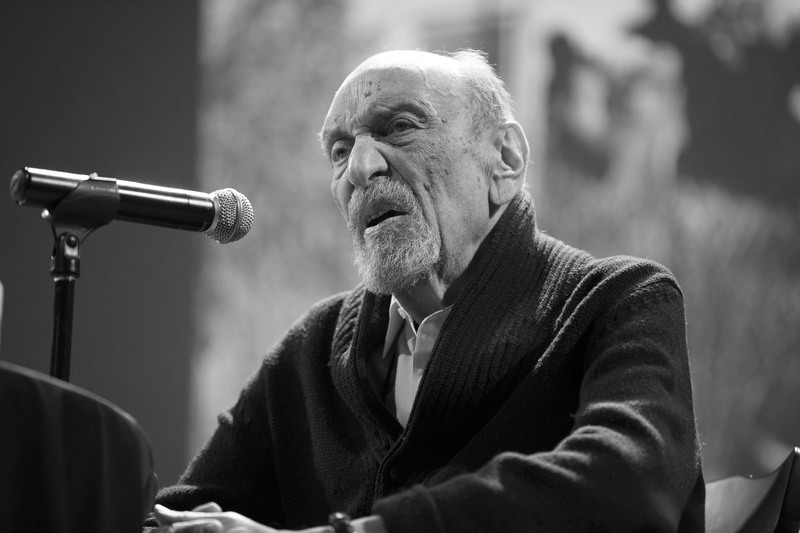 Milton Glaser (Art ‘51) at The Great Hall on November 13. He, along with designer Steven Heller, discussed the updated version of his book The Design of Dissent which is now subtitled “Greed, Nationalism, Alternative Facts and the Resistance.” Photo Courtesy of The Cooper Union/Photo by Marget Long. 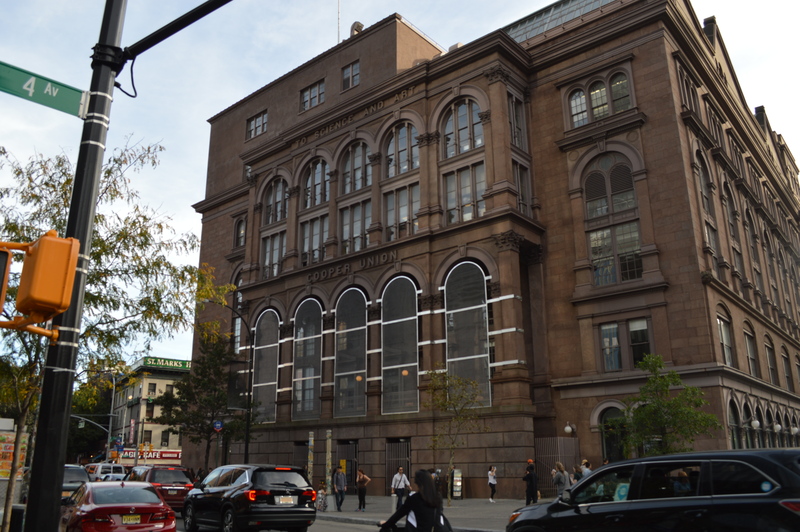 You may have noticed fences springing up around the East Village and the Lower East Side—mounted on the north side of the Foundation Building, nestled between two buildings on East Seventh Street, or lining the exterior of the Essex Street Market. Those fences, along with a host of larger sculptures and banners on street lamps are part of the Public Art Fund’s exhibition, “Good Fences Make Good Neighbors,” by artist Ai Weiwei. 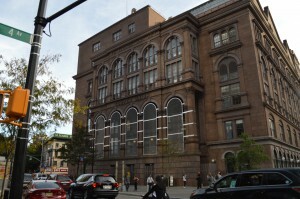 The Cooper Union has historically been a site where art and science progress, and often meet, to create projects and works that improve the way society views ideas or explores the world. 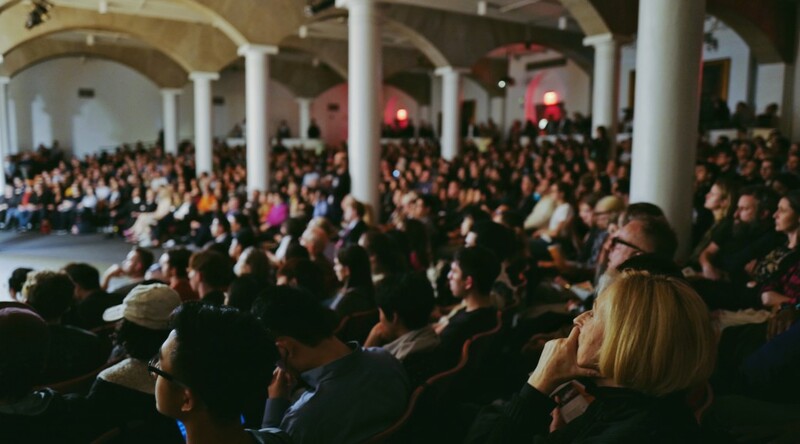 On Thursday, Oct. 19, art and science met in a fascinating and unusual way in the Rose Auditorium with the presentation of Virtual Science Storytelling. 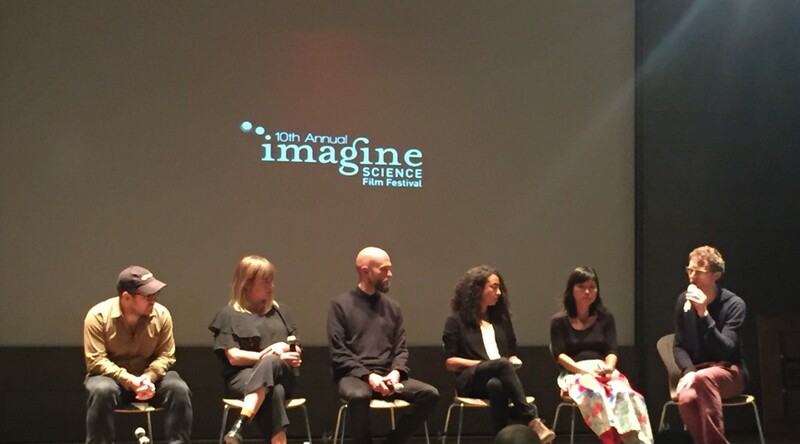 As the penultimate night of the 10th Annual Imagine Science Film Festival, The Cooper Union welcomed scientists, engineers, artists, and storytellers to take the stage and talk about their projects and individual contributions to the up-and-coming field of virtual reality (VR). Although each presenter and project were unique, they all shared the common goal of using VR to change the way ideas could be presented. 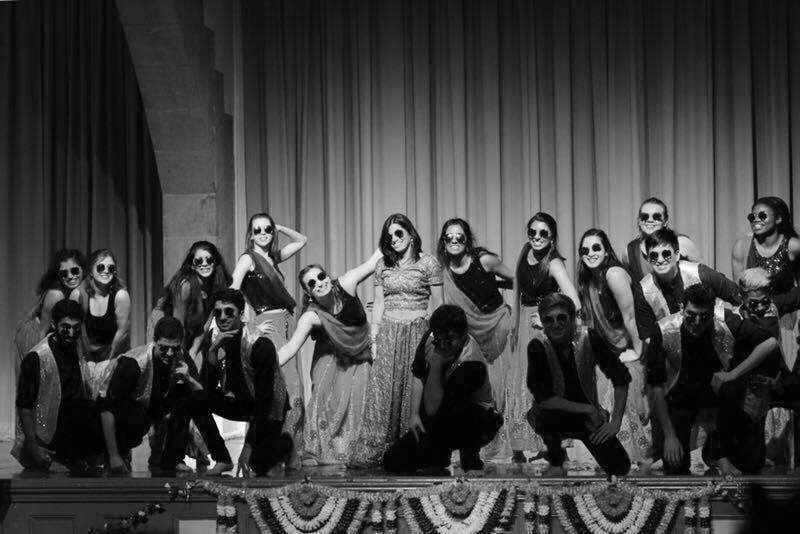 President Laura Sparks joins the South Asian Society in the closing number of the Culture Show held on April 15, 2017. 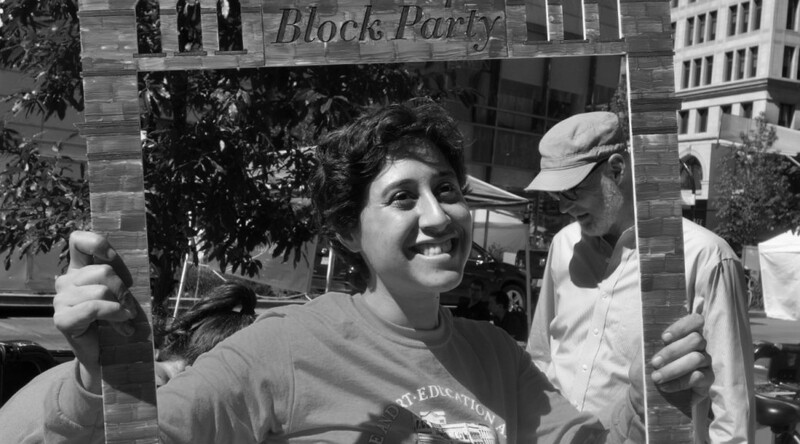 Photo by Jiaqi (Ivy) Cheng. 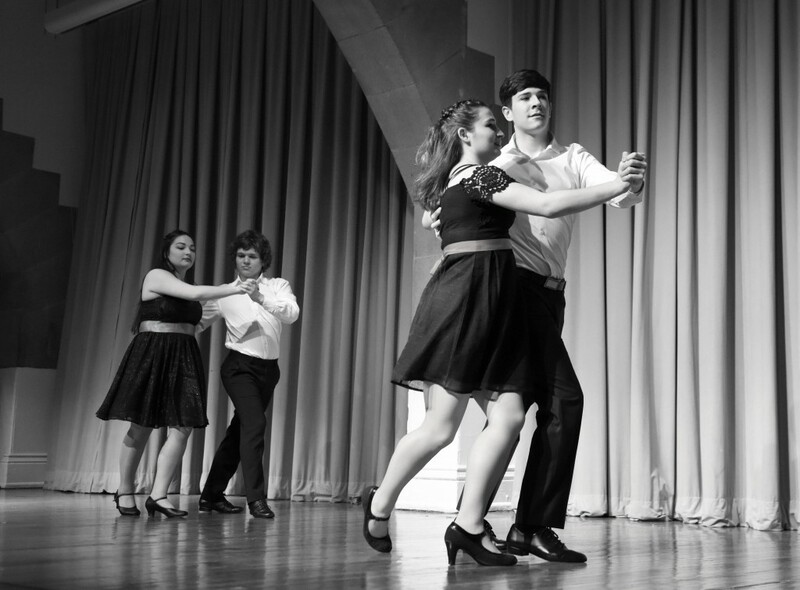 Ballroom Dance Team performs the waltz. Photo by Sage Gu (CE ‘19).